Galleries at Park Lane offers luxurious apartment living in one of the greatest cities in the country. What more could you want? Regardless of your age or phase of life, Dallas is a pretty fantastic place. With so many things to do, see, and explore, we promise you will never get bored while living in our exciting city. But after a long day of fun, there is nothing better than being able to unwind in a space that is both beautiful and cozy. Welcome to life in Galleries at Park Lane! Truth be told, it can be difficult to find an apartment space that really suits your needs and lifestyle. Whether you plan on living on your own, with a roommate, or with your significant other, you want an apartment where everyone can feel relaxed and comfortable. Lucky for you, Galleries at Park Lane has several different floor plans that you can choose from, making it easy for you to rent the perfect amount of space. Maybe all you need is a studio apartment that comes in at 614 square feet. Or maybe you are looking for something more spacious where you can entertain plenty of friends and family – our largest floor plan features two bedrooms, two bathrooms, and 1,779 square feet of space. From small to large and everything in between, Galleries at Park Lane has it all. Regardless of which size apartment will work best for you, you can rest assured that all of the spaces in Galleries at Park Lane come equipped with fabulous features. 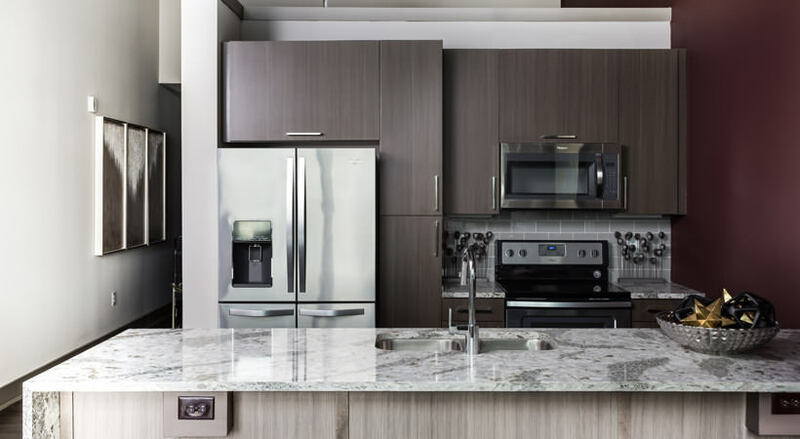 Just some of the details that have been incorporated into our luxury apartments include floor to ceiling windows, mosaic tile backsplashes, glass front cabinets with wine storage, rain showerheads, quartz countertops, walk-in closets, solar shades, and rolling barn doors. Plus, a washer and dryer is included with each apartment, so you never have to stress about when and where you are going to do laundry again. 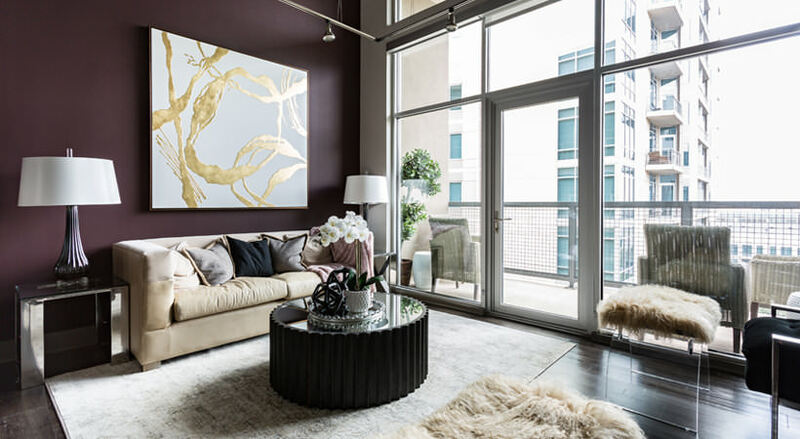 Not only are our interiors impeccable, but Galleries at Park Lane is also pleased to offer an impressive list of amenities that you won’t find at all the other apartments in Dallas. 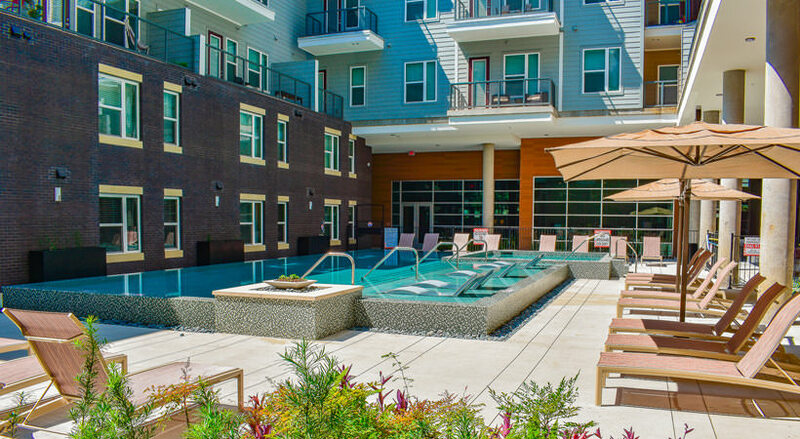 Our community boasts a zero-edge saltwater pool, two fitness centers, a fully-equipped CrossFit room, outdoor fire pits, sauna and gated on-site pet park. 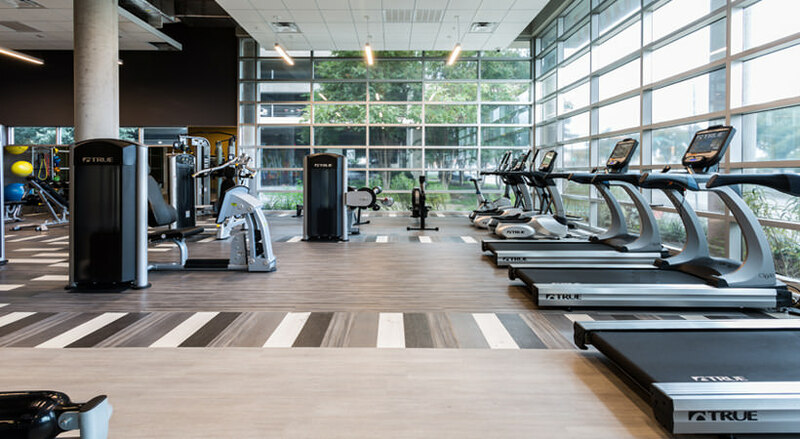 And once you are done enjoying the amenities, you can easily walk to some of the best dining, shopping, and entertainment options in Dallas. Contact us today for additional details on all that Galleries at Park Lane has to offer.